Sort of space? 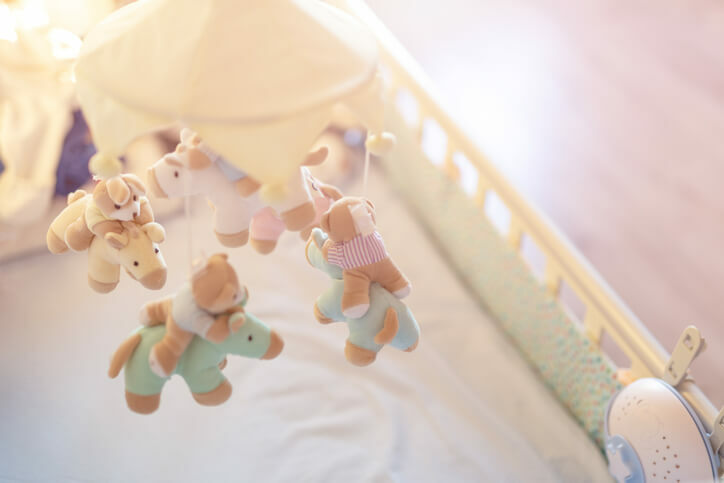 Here are some tips for creating a nursery in a tiny space, with a similar-sized budget. Small spaces can feel chaotic if colors don't play well together. 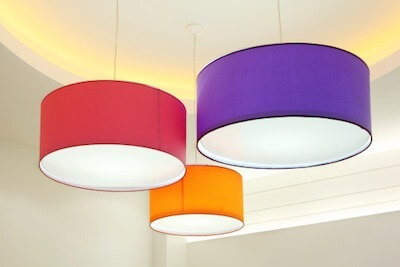 So find two or three hues you love that feel harmonious. Do as much as you can in those, with a neutral base like white or cream. Think soothing. Baby can't see color for a while, but you can! With late-night feedings you'll want all the soothe you can get. Stumped? Take inspiration from a scarf, dress, or painting—and draw on those for paint, rug, and textile colors. 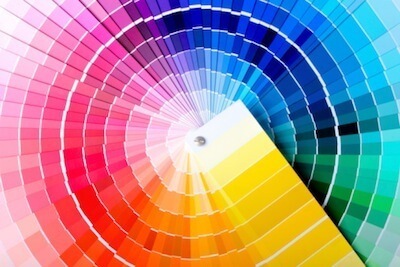 Light colors make a small area feel airy, but dark colors actually can feel spacious and warm. Until we measured our fave Ikea crib and saw that we'd need to knock down rental walls to fit it, I didn't know there was such a thing. 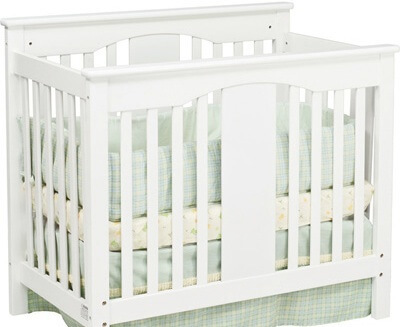 But thanks to my friend Google (and my fave décor site ApartmentTherapy.com), we learned of the mini crib. We're going with the Davinci Anabelle Mini Crib—it's about five crucial extra inches shorter than the Ikea—but there are many others if you search for "mini crib." 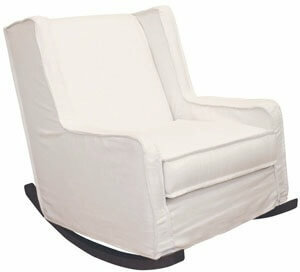 Most modern nurseries have some sort of rocker or glider to help soothe baby and you during feedings. And most of these are ginormous. 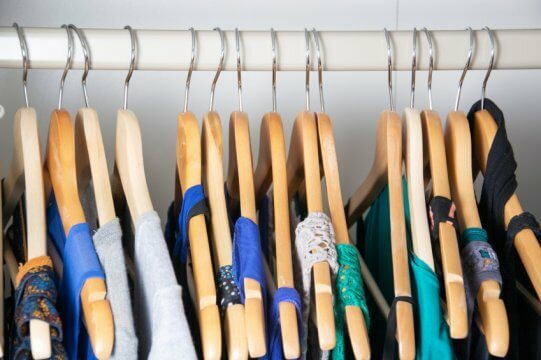 Scour second-hand shops, Target, and Home Goods for deals. Or even better, shop your home—is there a chair in the living room that might be perfect? Done-zo! This means the side table for your comfy chair doubles as a stool and perhaps triples as storage for baby clothes that don't fit yet. 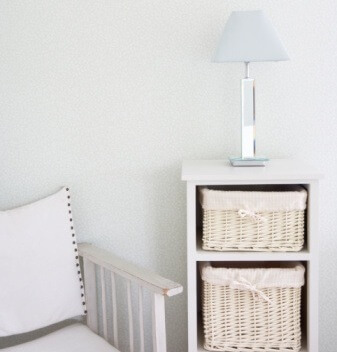 Your dresser is also a changing table, and perhaps your wall art is also a lamp. Each piece of furniture you bring in should be considered for its double-duty abilities. Go dense and go vertical—by that I mean double-duty furniture (the book shelf that's also a side table); smart and full usage of vertical space (make those shelves go all the way to the ceiling! ); and no dead space next to furniture (all those awkward gaps can be filled with something from the container store or a lumber yard). Even though your sister-in-law swore by it, you probably don't need a Diaper Genie; same goes for a wipe warmer (though yes, I know, some people LOVE them). Ditto eight kinds of diaper cream and, if you can, do not buy any stuffed animals because: A) They can't be in the crib till your baby is one year old because of SIDS risk and B) People will bring you more unsolicited creatures that you can imagine. You may not have the wall space for the entire under-the-sea decal kit you've been eyeing, but curtains? You probably have room for curtains. Best is if you can go to the most gigantic fabric store you can find and fall in love with a perfect print—oversized prints (like jumbo flowers) work best in a small space (counter-intuitive, but true)—and sew yourself some curtains. They can be your mural, paintings, and posters—and curtains—all in one. 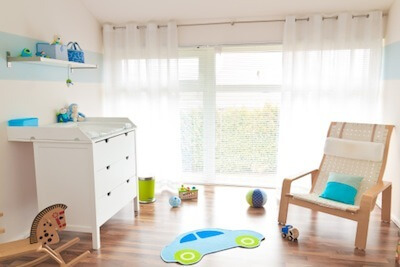 Aside from being calming for parents and baby, natural elements help blur the boundary between outside and inside, making things feel more spacious and soft. Add healthy plants, a bowl of beautiful rocks, wall art made of driftwood, a small fountain. Anything that feels alive, in a good way. Plenty of people do adorable things with closets (with the doors taken off, of course! ), laundry rooms, and small nooks that once just seemed like dead space. Get out your tape measurer and start mapping out the possibilities—you may be surprised where you can fit a crib and a changing table, quite comfortably and cutely. It may not seem logical, but some larger elements make a small space feel more generous. Like oversized prints on textiles, or a pendant lamp that takes up room (you can usually afford vertical space), or maybe the heck with a tiny comfy chair, ditch a useless table and get a big glider. It could also be some jumbo singular stencil or decal image on a small wall. These can all trick the eye into feeling roomy and free.